We charge for the amount of rubbish we remove by volume. In keeping with the industry standard we measure this in cubic yards. 1 Cubic yard is roughly the equivalant of 2 washing machines. Are your items re usable? 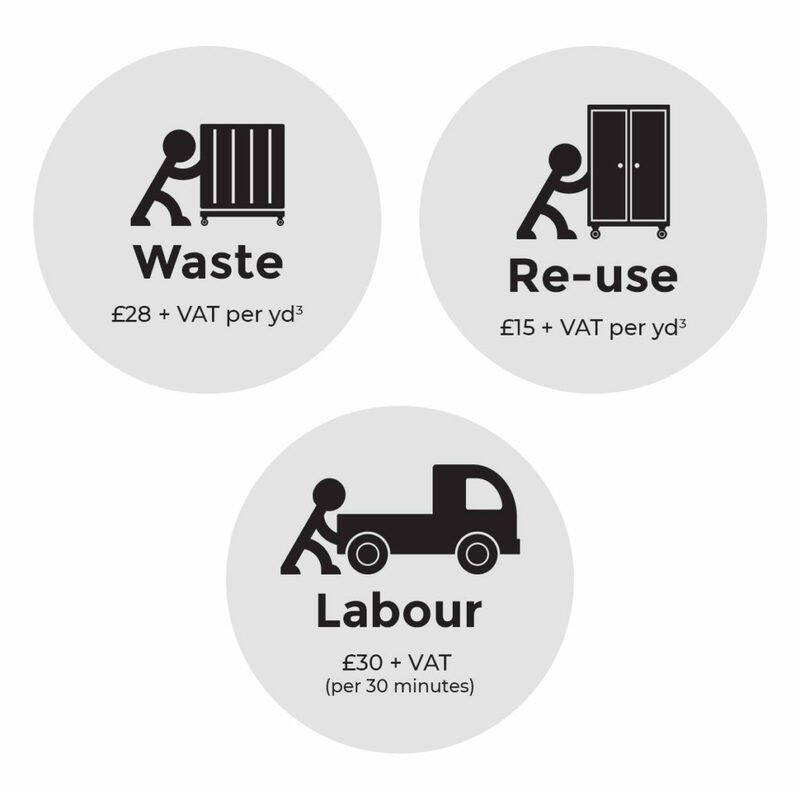 We charge a lesser rate for clearance of re usable goods, please see below for details. Since our very begining it has been our ethos to reduce waste and help the community, not only by recycling the waste we remove but also by Upcycling re usable goods. We Re-supply Re-use and Re-sell used goods.Everything from basic domestic furniture and appliances to all things weird and wonderfull. We work closely with local Chairties and 2nd hand shops across London. We offer reduced prices to members of the community on Benefits or recpetients of working tax credits for domestic furniture, our doors are open to anyone. Visits to our Re use centre are by appointment only – please get in touch to arrange a visit. Due to the heavy nature of this type of waste the price is slightly higher per cubic yard, these types of collections are dealt with on a case by case basis. Please call for a bespoke tailored quotation or send a picture via our contact form.